Chinese consumer electronics and software major Xiaomi, which started off by releasing its Android-based firmware MIUI in 2010, has now risen to become the biggest smartphone manufacturer in the two largest markets in the world — India and China. Along with its smartphone business, the company has heavily invested in other consumer electronics including smartphone accessories, laptops, wearables, and smart home products among others. 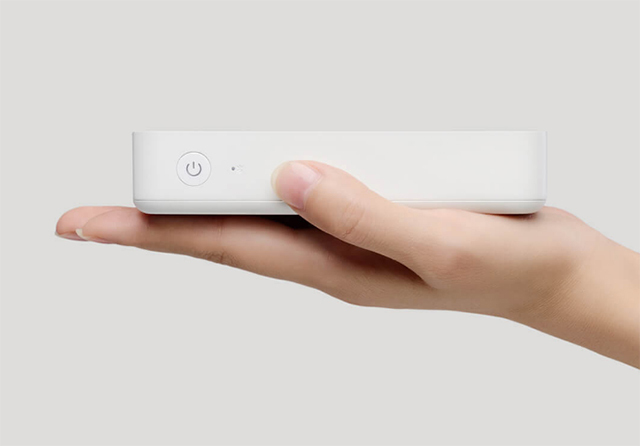 The latest addition to Xiaomi’s line of consumer electronics is a pocket-sized printer which recently surpassed its crowdfunding goal. The XPRINT Pocket AR Photo Printer is the company’s 153rd crowdfunded project and it does more than just print pictures. Unlike other pocket-sized printers from prominent manufacturers like HP, the XPRINT allows users to record a short video which is embedded into the picture. With the companion app, users can then view the video by pointing their smartphone’s camera at the printed photo. Xiaomi claims that the companion app is capable of recognizing the photo in just 0.28 seconds and has a tracking speed of 120 frames per second allowing users to see their videos almost instantly and without any stutter. The printer can be connected to a smartphone via Bluetooth or NFC and supports devices running Android 5.0 and above or iOS 9.0 and above. 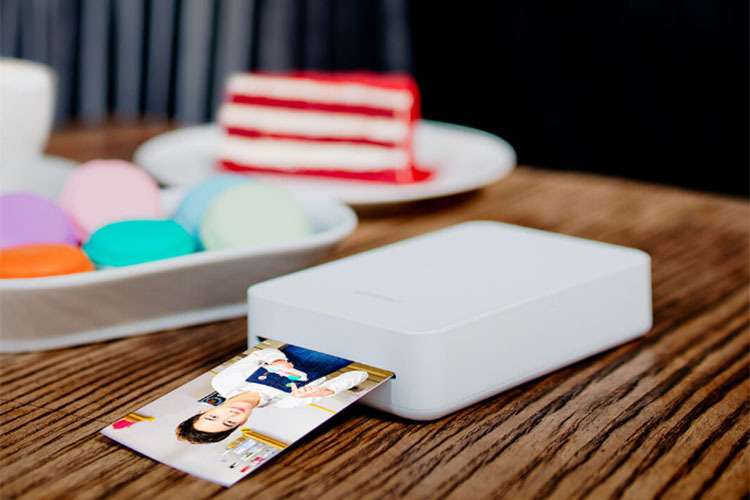 The XPRINT Pocket AR Photo Printer will be available in white, measures 133x80x27mm and weighs just 237g, making it quite pocketable. The printer includes a 650mAh battery which can be charged using a power bank, further adding on to its portability. The printer makes use of 54x86mm photo paper for high-quality 291×294 resolution prints and can hold 10 papers at a time. 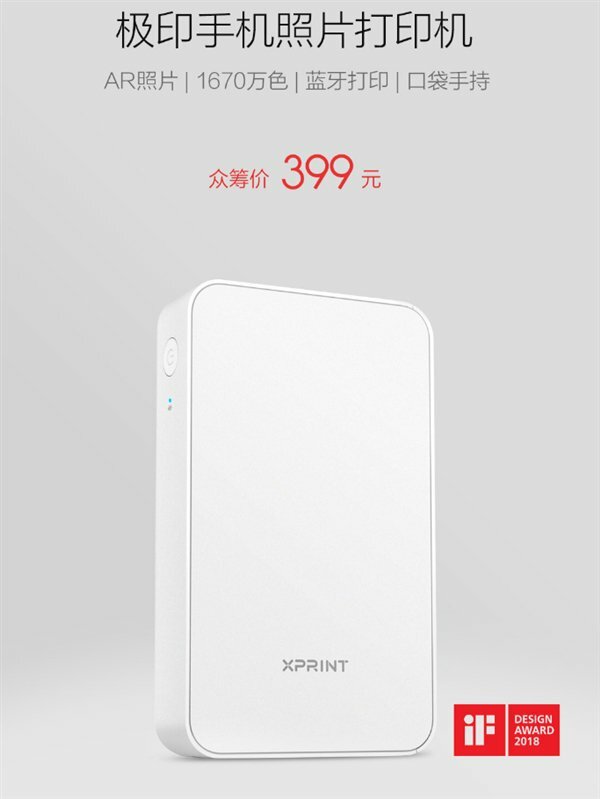 Xiaomi has priced the XPRINT Pocket AR Photo Printer at 399 Yuan(~Rs. 4,070) and a pack of 20 photo papers will cost an additional 39.9 Yuan (~Rs. 407). Since the company has already achieved its crowdfunding goal, the printer is expected to start shipping on March 12, 2018. However, as with most Xiaomi products, the XPRINT Pocket AR Photo Printer will only be sold in China, with no information regarding a global release from the company.